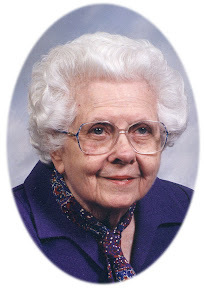 Mason-White Funeral Home, Washington - Nettie G. Whittington, 92, of Washington, passed away on Wednesday, February 13, 2008 at OSF St. Clare Home in Peoria Heights. Nettie was born on March 5, 1915 in Tampico, Illinois to Jesse and Zella Lee Milligan. She married Gene Whittington in Peoria on September 28, 1934. He preceded her in death. Among the survivors are two sons, Wayne (Glenda) Whittington of Deland, Florida and Jim Whittington of Peoria; a daughter, Donna (Allen) Schultz of Tucson, Arizona and honorary daughter, Betty Whittington of Omaha, Nebraska; 12 grandchildren and several great grandchildren. She was also preceded in death by her parents, two infant sisters and one brother. During her lifetime, Nettie had worked for Weight Watchers, Libby’s in both Eureka and Morton, Ben Franklin Store in Washington and the Dry Cleaners. She was a faithful member of Grace Bible Church in Washington, where she had been a member of the missionary Society supporting missionaries in Mongolia, Greece and Guatamala. She taught Sunday School and vacation bible school at the church, as well as in Eureka and Delavan. For many years she had a mission of sending cards for birthdays, anniversaries, get well’s and nursing home. During the Reagan Administration, Nettie was a member of the National Advisory Board on the American Security Council. Funeral services will be held on Monday at 11 a.m. at Grace Bible Church with Pastor Larry Bishop officiating. Burial will follow in Hillcrest Memory Gardens, south of Washington. Visitation will be one hour prior to services at the church. Mason-White Funeral Home is assisting the family in arrangements. Memorials may be made to Grace Bible Church. Monday, February 18, 2008 at 11:00 A.M.